Looking for inspiration on what to buy the ladies in your life this year? Whether it be wife, Girlfriend, Sister, Auntie, Mum I have some great ideas for the perfect gift! If you've ever been to a party anywhere crazily expensive you will most probably have had the old jokey conversation about sneaking in your own drinks. I know I have and in fact I have sneaked a small bottle or two of alcohol in a bag before! buyahipflask.com have a huge range of hip flasks for both men and women and even offer to engrave many of them too. 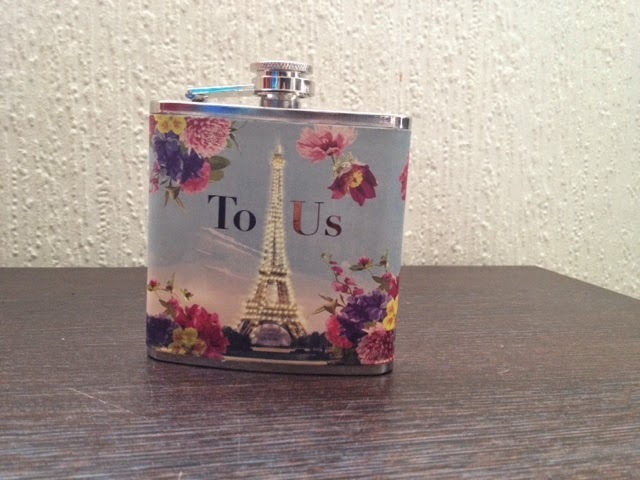 I love this 6oz Eiffel Tower hip flask which costs £18. The perfect gin in a tin! Vaseline is a fail safe gift for any woman. I myself always have a tin of Vaseline in my handbag. 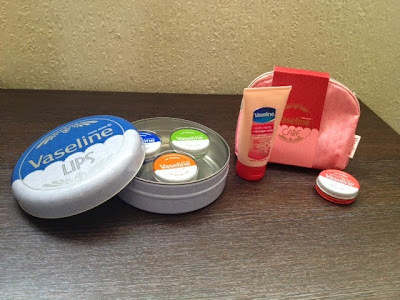 Vaseline sell a range of Christmas gift sets including the Vaseline Original Retro Lip Tin gift pack (above left) containing three different Vaseline tins in a large Vaseline gift tin which retails at around £6.50 and the Vaseline Make Up Bag (above right) which contains one tin of Vaseline lip therapy with rose tint and Vaseline healthy hands and stronger nails hand cream which retails at around £6. 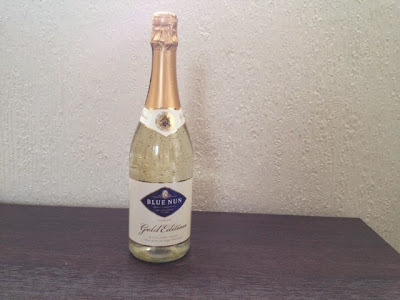 Both are available at Tesco, Ocado, Amazon and a few other retailers. Shop around for these as you may find them in 3 for 2 gift offers. 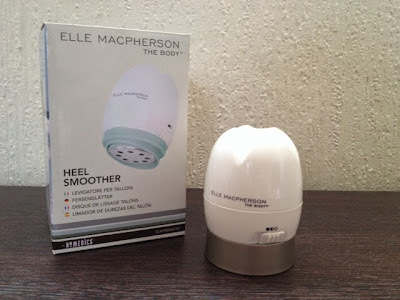 The Elle Macpherson Heel Smoother is a great product for busy women who might want a bit of time to pamper and look after their feet. 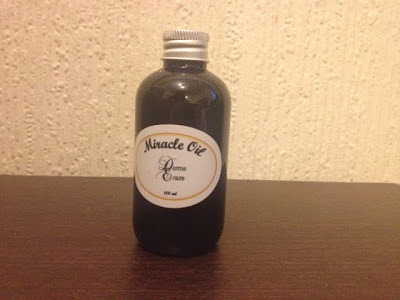 It is fantastic at removing dry skin leaving feet looking silky smooth. It works on toes, heels and the sides and balls of your feet. It includes a buffing disc for a flawless finish. It is battery operated and takes 4 x AA batteries. Something as little as having nice healthy looking feet can give a woman a boost which makes this a ideal gift! The Elle Macpherson Heel Smoother retails at £19.99 so is very reasonably priced and can be found at www.homedics.co.uk or is available at both Amazon and Argos. 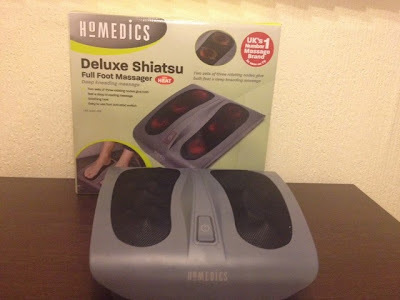 The Homedics Deluxe Shiatsu Full Foot Massager is another great pamper product. Again it is perfect for relaxing after a long day on your feet. It has six rotating nodes giving feet a complete invigorating massage. It has two different settings; massage plus massage with soothing heat. The soothing heat helps to ease muscle stiffness and tension. It is mains powered so doesn't require any batteries. I actually use this quite frequently and it is very relaxing. I love the soothing heat setting. This would make a great gift for any woman this Christmas. It retails at £64.99 and is available at www.homedics.co.uk or it is currently available on a fantastic offer at Amazon. Don't be fooled my the name, as well as being full of great gifts for men presentsformen.co.uk also sell a range of gifts for women. 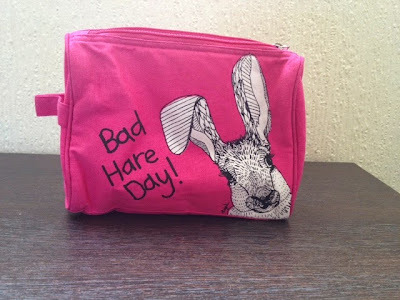 This 'Bad Hare Day' wash bag, illustrated by British Designer Casey Rogers, is a great fun accessory for women. In my opinion it could easily double as a make up bag. It has a waterproof lining and canvas outer. 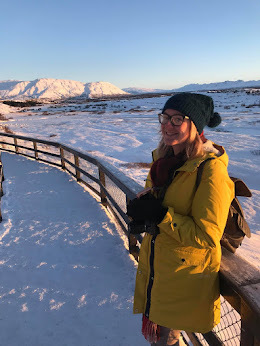 Perfect for women who like to travel. The wash bag retails at £16.99 and as it is great quality it is totally worth the price! Visit www.presentsformen.co.uk to purchase the washbag (also available in different designs for both men and women). Photobox sell a huge range of personalised gifts. This photo cushion would make a fabulous gift for women. You could use photos of the family pet, children, grandchildren or anything else that takes your fancy. It was difficult to photograph the cushion in all it's glory as no matter what angle I tried I was cutting out a huge part of it. I can assure you this photo doesn't do it justice. The cushion is great quality and is lovely and bright in colour. With prices starting at £26.99 for a 11"x 11" and can be made using one photo or collages of photos with the different themes and designs. 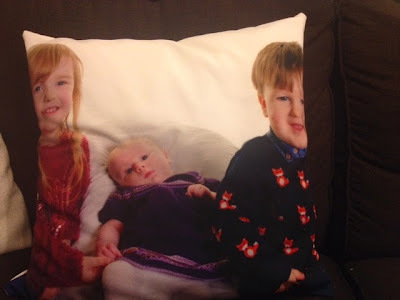 Of course if you don't fancy a cushion there are lots of other gifts available and in my experience Photobox are the best when it comes to offers and incentives for customers. Visit www.photobox.co.uk to see their whole range. I was sent samples of some of the above products but all opinions are my own.